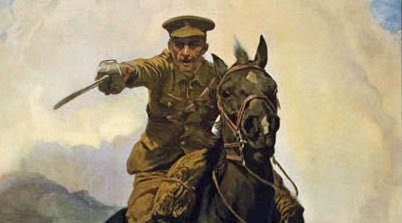 Having raised over $25,000 for the General Sir Arthur Currie Memorial Project, once again the Project committee are hosting a 3rd Great War Forum and Militaria Show which will take them ever closer to their goal of $100,000 to erect a statue of Canada’s greatest General in his home town of Strathroy Ontario. General Sir Arthur Currie was born just outside Strathroy and Currie attended Strathroy Collegiate Institute as a teen. “It is time”, said one lady, “That we honour him”. On the 12th of April at 5:00 PM Corrings Auctions will hold an auction of militaria at the Caradoc Community Centre in Mt Brydges. The next day a forum on WW1 history will feature Norm Christie who is well known for his TV presentations on Canada’s role in the two world wars, Korea, etc. Norm is always fascinating to listen to and is well known for his King and Empire, King and Country series on History Television. Alan Lougheed, author of Two Many Heroes, will be talking about the gas attack at Ypres and a surprising analysis the actions of the French Colonial Troops. Finally Andy Robertshaw of British Television’s Finding the Fallen and The Trench Detectives will be speaking on his experiences as a consultant to Stephen Spielberg and the movie War Horse. He doubtless has many stories to tell. In addition to the speakers, a miniature of Sir Arthur Currie will be unveiled and our newly appointed Patron will be introduced. Along with an active militaria market and the displays of many of the projects folks are working on, this should make a fascinating day.